For a probiotic to be effective, it must be shelf-stable through the expiration date and precisely delivered to the intestinal tract, where it can have maximum benefit. The microorganisms in Ortho Biotic are protected, sealed and freeze dried away from moisture, heat, light and oxygen. This allows the bacteria to remain dormant until they are exposed to moisture in the GI tract. 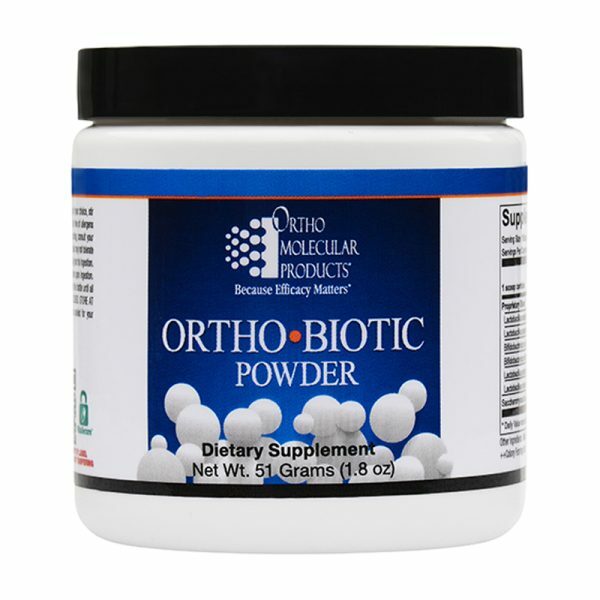 Ortho Biotic is a unique probiotic formula designed to deliver active organisms shown to promote healthy gut flora, protect intestinal integrity and boost immune function. Included in this formula is Saccharomyces boulardii, an extensively researched microorganism shown to help restore microflora balance by enhancing commensal organisms. Each scoop of Ortho Biotic provides seven proven probiotic strains chosen for their ability to withstand the harsh gastrointestinal (GI) environment and adhere to the intestinal tract, and deliver superior results. Ortho Biotic is also available in capsules at the same high concentration for those who prefer capsule delivery. 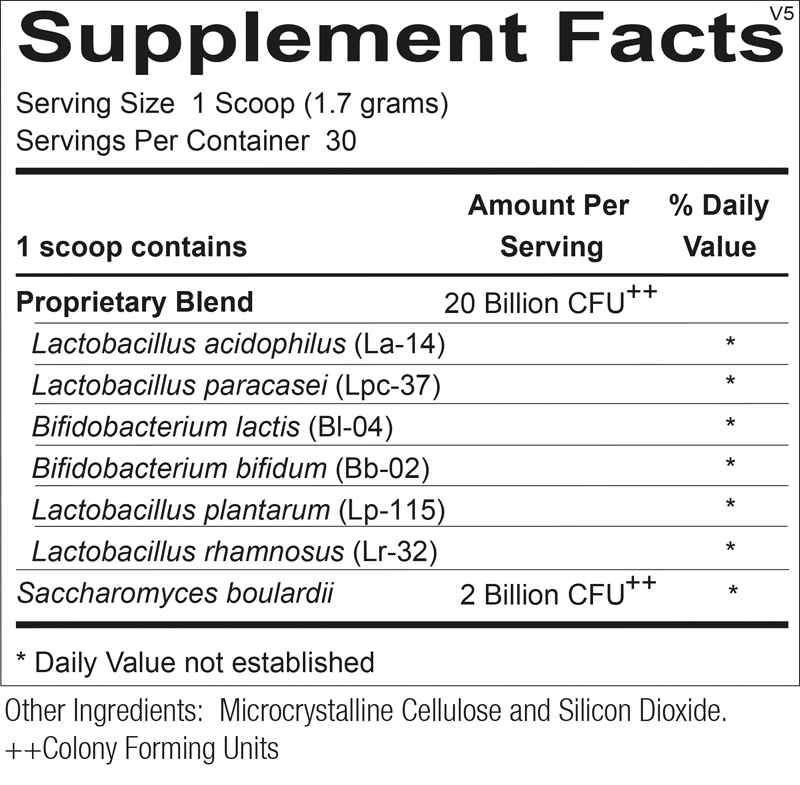 Suggested Use: 1 scoop (1.7 g) per day or as recommended by your health care professional. Guaranteed potency at expiration. No refrigeration required.